Please stop blaming the parents! It starts from the minute you get a positive pregnancy test. Somehow those two blue lines seem to propel you into a world where everyone feels they have a right to judge you, watch you, give you advice and generally make you feel like you are doing everything wrong. In fact you could even say before you finally fall pregnant that it starts. When we were trying for a baby (it took almost 10 years before I had the twins) everyone seemed to automatically think I was to blame! I wasn’t eating the right food, I just needed to take a holiday, I needed to stress a lot less, or just ‘forget about it and it will happen’ or even the comments about my personal medical life and private life at home. Although I know most people were only trying to help it felt like I was being judged and blamed for my inability to conceive. Then there’s the pressure to breast feed, wean a certain way at a certain time, only use certain products for your baby, only let them watch a certain amount of TV, sing enough songs to them, take them swimming every week and so on. So when my children struggled to reach milestones when professionals said they should it all started again. Was I encouraging them enough? Were they put in walkers for too long, or not enough? Did I have push along toys to help them walk? Was I reading to them, singing to them and spending enough time with them? Because it clearly had to be my fault that these milestones were not being reached when books clearly stated babies should be doing certain things at certain times. And so parents, doing everything they can to help and support their children, start feeling guilty very early on that somehow they are failing their children. At what point do professionals start realising that the child needs help? Or start looking into the child’s development to see if there are any signs of a disability or something abnormal? Even when it seems obvious a child is showing signs of a developmental delay or autism or perhaps a genetic disorder the system still seems set on blaming the parents. I have been in the system long enough to see now that the first thing all the professionals do is look to the parents. Speech therapists send parents on courses, early years workers come to the house to show and teach parents how to interact with their child, paediatricians suggest ways to help them sleep or tell you to try toilet training them. Psychologists tell you about the importance of boundaries and rewarding good behaviour. Sometimes it can be so patronising. Now don’t get me wrong, I have learnt some important things from many of the courses I have been on and made friends with others in similar situations too. I am enjoying learning to sign songs to my son in makaton to help him understand them better and it is always good to be reminded of proven parenting strategies. But that does not mean that the difficulties my child has are down to my bad parenting. I get it wrong some days, what parent doesn’t, but does that mean I am to blame for my child not being able to talk? Or not being able to jump or climb? While I do understand there are a small percentage of children with difficulties caused directly from harm inflicted whilst in the womb or parents not able to look after their children these are very much in the minority. The vast majority of parents I know whose children have any sort of developmental delay, or autism, or genetic conditions or additional needs in any way do a huge amount for their children, often devoting all their money and time to support and help them. Far from being blamed for their difficulties they can take credit for their achievements against all odds. I know parents who spent their days fighting for services to support their children and nights being up with a child who does not sleep. Parents who have established and run charities to support other parents and families to give children opportunities to succeed despite their challenges. Parents who spend hours making visual timetables, laminating and printing visuals for their child, attending workshops and training courses to learn more about their child’s condition to support them better. Many are still fighting against the constant guilt placed on them for giving their child inoculations, or working as well as being a parent, or for not having the money to pay for private services or the best school. Some are spending years trying to get their child diagnosed when all professionals want to see is poor parenting when the child is actually struggling with a condition that affects their behaviour, understanding or ability. These parents are far more of the norm. So when my child is screaming in public and others are looking at me and judging me because I physically lifted and carried a five year old who ‘ought by now to know to behave in public’ or people stare at me because he is still in a buggy. Or they read yet another media article that says autism and other such conditions are just an excuse for bad parenting or a modern phenomen. Or my child has a bad day at school and the diary suggests ‘is there anything going on at home we should know about?’ It just adds to the guilt and the blame. And that isn’t helping me or my child. So please media, professionals, schools, and society look at how amazing parents are, especially parents dealing with children and adults who have extra needs. Yes we may get it wrong some days, because we are only human like you. But we are trying, learning, supporting and doing the best we can for our children. We don’t need guilt added into our already difficult lives. Please, stop blaming the parents! We all, in one way or another, feel a need to connect with others. The popularity of reality TV, soap operas, social media, autobiographies and personal stories show how we can be touched and interested in others. Even the nosy neighbour in your street is looking for a way to be connected with someone else. Millions connect with football teams, attend clubs and groups of many sorts, join organisations and long to be part of something. It seems it is human nature to not wish to be isolated. Being part of something else makes us feel less alone, gives us security and allows us to feel loved and supported. Everyone one of us needs that. We are drawn to other people’s stories because so often in some way we can connect with them. Many of you reading this will have children with special needs, or be a parent, or know me personally, have a similar faith to me, have twins, or identify in some way with part of my story. The longer I blog, the more experiences I live through and the more my children grow, the more people will be able to connect. I appreciate every one of my followers, family and friends so much. It is the same for me too. When I was struggling with infertility I received comfort from reading other people’s stories from people who had went through similar. When my children were diagnosed with autism I searched the internet for support groups and information and joined online and local support groups with similar families. When my son was diagnosed with neurofibromatosis type 1 I did the same again. We are drawn to like minded people. It takes away the unknown. When someone else has walked that path before you there is so much reasurrance to be had from hearing those four words “It will be ok”. My name is Miriam. I have been married for almost 16 years now. I have always wanted children so we started trying for a family right away. Nothing seemed to happen. So we just kept on working, living, and believing it would happen in God’s timing. Finally after 7 years of nothing I went to the doctor. 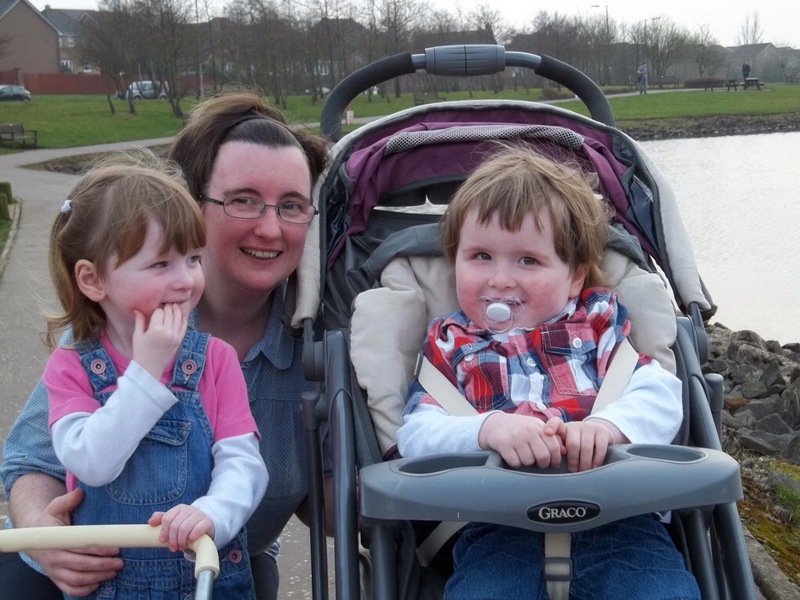 I was diagnosed first with polycystic ovaries and referred to hospital to be put on a very long waiting list for IVF. Further tests at hospital changed the diagnosis from polycystic ovarian syndrome to a rare condition called late onset congenital adrenal hyperplasia. 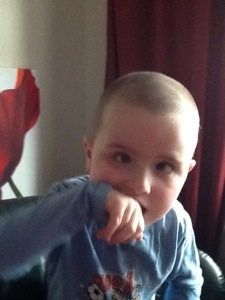 More hospial referrals and life long steroid medication followed but still no further forward in our quest for a family. As IVF was now no longer a definate we applied to adopt. We went through so many assessments and checks and finally we were assessed as suitable candidates for matching with a sibling group. We had a big enough house, we worked, I had a degree in teaching and everything was finally looking like we were heading in the right direction after 9 years. Then came a letter in the post that we had finally came to the top of the IVF waiting list! We had been told we had been taken off the list for medical reasons but now we had a very real dilemma. Doctors gave us less than 1% chance of success with IVF due to the medcial complications I had and our long history of infertility. But during those years our faith was growing. And we knew this was something we had to at least try. So finally in January 2008 I started a form of IVF called ICSI. A huge amount of hospital visits, scans, blood tests, more blood tests, and injections I had to give mysellf daily at home. We were facing the unknown and had to keep out faith. 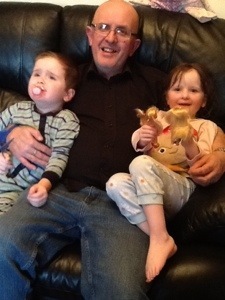 On Mother’s day 2008 I injected myself with my final lot of fertility drugs. I had a reaction to the anaesthetic used to put me to sleep for the operation to remove my eggs so I was kept in hospital overnight. I returned again a few days later to have 2 embryos implanted from the 15 eggs I had removed. 10 days later I was admitted to hospital again as an emergency due to hyper stimulation syndrome and I remained in hospital quite ill for a week. It was during that stay that blood tests revealed I was indeed finally pregnant. After I was home the pregnancy went well. I suffered from the usual sickness but the excitement of being pregnant made this more than bearable. At 7 weeks pregnant we had an early scan which revealed two healthy babies! 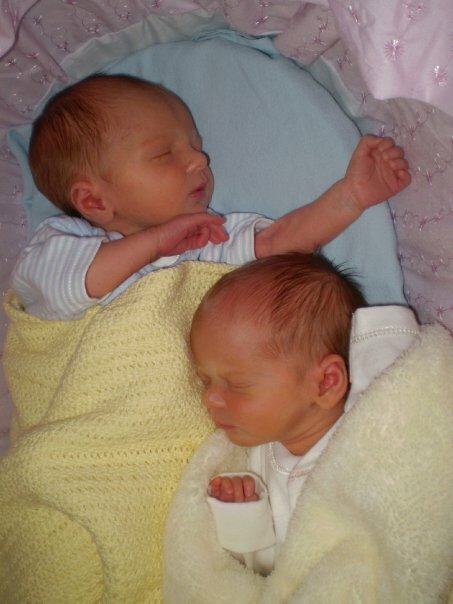 In November 2008 my twins Isaac and Naomi were born healthy. Due to my medical history I had a c-section but within 3 days I was home. But by 18 months I was worried: Naomi wasn’t crawling, or pulling herself to stand and Isaac was crawing into doors and walls like he could not see them and showed no progress towards walking at all. This was my first rung onto the ladder of special needs parenting and it was so scary and unknown. How do you find support groups when you have no idea what is wrong? What do you type into google when you are not even sure if it is just your imagination? 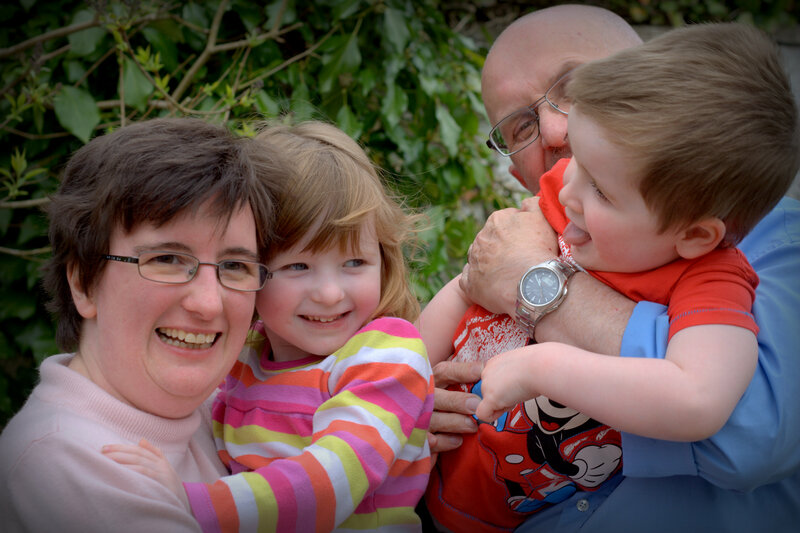 At 22 months old the twins saw the community paediatrician for the first time. We now know this lady on first named terms! That day I heard the word “autism” for the very first time. I will never, ever forget that day. My world was turned upside down over night. This started the barage of home visits from professionals, the self doubt as a parent and feelings of guilt that you have done something wrong, the vulnerability of having all you do with your child open to criticism from every professionals you ever meet. That feeling of desperation. It took almost 2 years later before Isaac was finally diagnosed formally with classic autism, global developmental delay, severe learning difficulties and pica. Finally I had plenty to google! He attended specialist nursery provision and is now in a school for children with severe and complex needs. He then started having seizures. He had several EEG’s and in December 2012 we were told he has neurofibromatosis type 1, a tumour condition that means he has brain tumours. A few months later we found out he is visually impaired too and only has the sight in one eye. Isaac started walking at age 3. Naomi required a standing frame to help her and finally she took her first steps at 2 and a half. I never knew if it was my imagination at first, but I started to see more and more signs of autism in Naomi too. 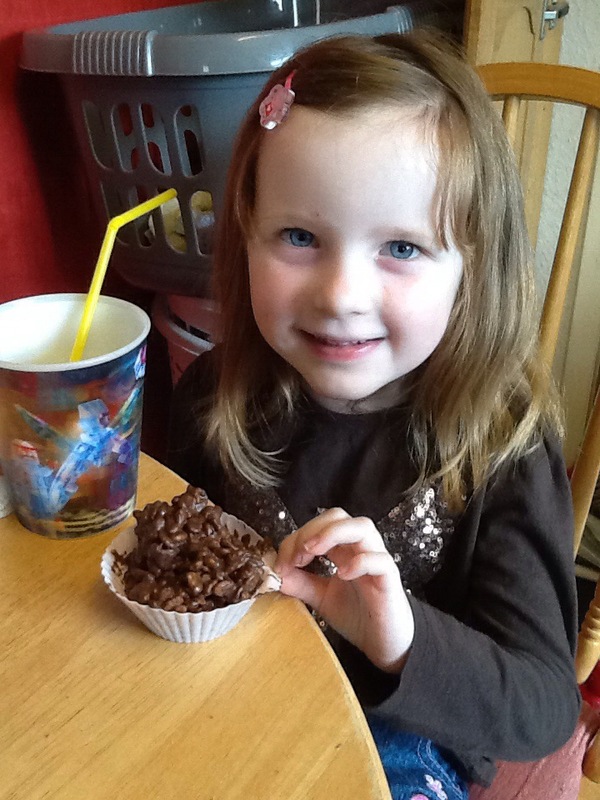 In October 2013 she was assessed and diagnosed as also having autism spectrum disorder. One of the many people we have seem in our journey of special needs has been genetics. When asked if there were any other conditions or diseases in my family I mentioned over a year ago that there was a rare syndrome within my family. The gene for this has now been discovered (isn’t it so amazing how research can do amazing things like that) and I was recently tested. I have just recently been conformed as having Aarskog syndrome and both children have a 50% chance of having this too. So one again we face more blood tests and yet more waiting. But in all this we still believe. My faith was, and still is, an integral part of who I am. A few months ago I made my story into a film. Sometimes it helps to see it in words and pictures and song. It is so much more real when it happens to you. 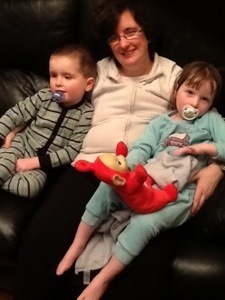 We might all be on the spectrum…but we don’t all eat our slippers! Yesterday I had two separate encounters with people who independently said in conversation that they felt everyone was on the autism spectrum somewhere. And I happen to agree. I am a parent of two children, both diagnosed with autism, and I see autism everywhere. Take the man that spoke to me recently in a coffee shop. He stood far closer to me than I was comfortable with. And whilst he rattled on and on and on about the subject he was interested in he never seemed to notice I was looking at my watch, putting my coat on, and generally giving the impression of having to leave. I wasn’t being ignorant, but I had other commitments and this gent was someone who I barely even knew. The chances are he is on the autism spectrum somewhere but he probably has no idea. 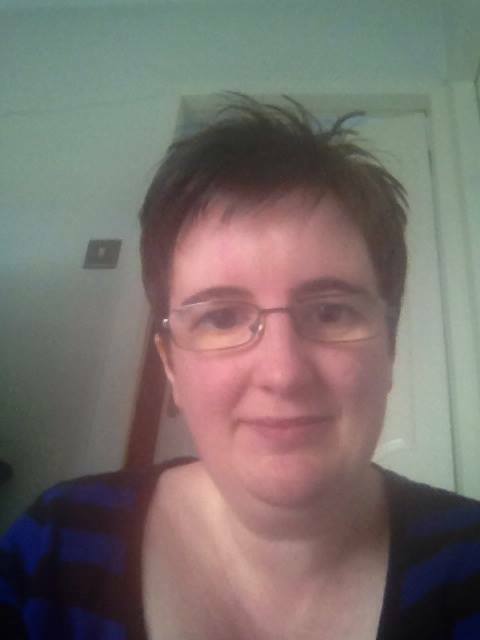 Then there was the very rare chance I had of visiting the hairdressers. As I got speaking to the stylist she mentioned how refreshing it was to see someone different. Yes, I am afraid my visits are that few and far between she probably mistook me for a brand new customer. She went on to say how she has so many established clients who come the same day for the same style at exactly the same time every few weeks. She even said she could fill in much of her diary before she even left the house. While this is great for business of course, it did make us both think how many of these regular customers are on the autism spectrum somewhere? People who like the same routine every day and need this just to give them security. She went on to say how decorating the salon causes so many of her clients to get upset as they like things to be the same every week. The most interesting thing about this conversation was she never even knew that both my children had autism. Then there was the visitor to my house. As I offered him a cup of tea he asked if I could put the tea bag in for a certain length of time, use only a particular amount of milk and stir the sugar in a certain direction. Another person I thought about diagnosing! How many of us clean our house a certain way, eat certain things on certain days (friday is pizza night? ), shop in the same stores because you know where things are, or only wear certain clothes because only those ones feel comfortable? An I really saying that these things mean you have autism? No. What I am saying is that we can all show traits. I know lots of people who find social situations uncomfortable. I know adults who still think a dinner must have potatoes and vegetables or they don’t feel it is a dinner. I know others who only clean their house in a certain order, become distressed if the supermarket changes it’s layout, or get very upset when buses change their routes. But you know what…I have yet to meet anyone, other than my son, who eats their slippers! You see, in order to get diagnosed both my children had to have enough traits to meet the criteria. And this means they need support in lots of areas. So while the man I met at the coffee shop is still able to go about his business despite have some social awkwardness, my visitor is able to have a full time job but likes their tea made ‘just so’, and many of the clients at the hairdressers like things to be the same way every time, every one of these people is able to live an independent life and function in society. And that’s the difference with my children. Isaac has no speech at 5. Naomi is so anxious she is unable to talk in social situations even when in pain or upset, they both have continence issues, and Isaac has severe learning difficulties. Isaac will need support throughout his life. Naomi will need support for years to come too. As will many other children and adults with autism. Because to have received a diagnosis they have ‘crossed the line’ from being quirky and different, to having needs in lots of different areas. Autism is a spectrum. Many people will be able to live independently, have a job, get married, raise children, and even attend university. Others will require life long support. Some need support in social situation or in their learning. Some, like my son, require 1-1 support just to make it through the day. But everyone of them are valuable, precious, special and almost certainly unique. The coffee shop, the supermarket, and the hairdressers all need people who incorporate visiting them into their daily, weekly, or monthly routine. And of course the slipper manufactures also gain..because, of course, my son is eating his slippers….and his pyjamas too for that matter!